Ulrich Seidls follow wealthy tourists going on safari to kill often endangered species. Some determinedly searching for trophies, others to enjoy. Even if every prey comes at a price, they always find a way to legitimize their own actions. 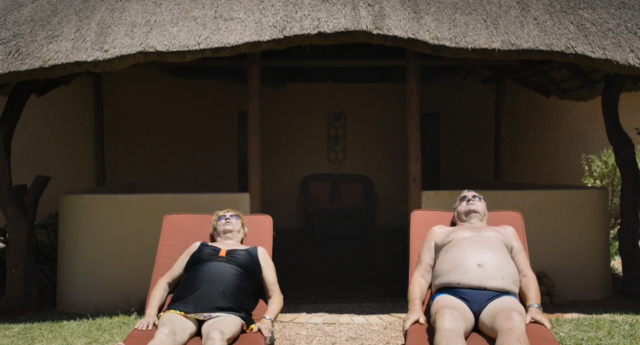 “Disturbing” is the best way to describe Safari, the latest film by Vienna-born director Ulrich Seidl, which has been welcomed out of competition at the Venice Film Festival. But actually, “Waidmannsheil” is definitely the key word in the film. Literally, it means “Hail the hunter!” and is uttered repeatedly by the main characters in this chilling documentary after they have killed an impala, a wildebeest, a warthog or even an enormous giraffe in Africa, before posing next to the carcass for the obligatory trophy photo. 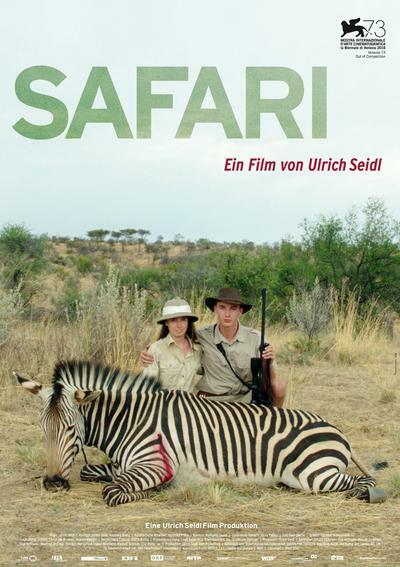 Safari might seem like a spin-off of his previous film, In the Basement, which was also shown out of competition at Venice in 2014, and in which he led us down into the basement of Manfred and Inge, where so many big-game hunting weapons were hung up next to thousands of animal hunting trophies. Coinciding almost exactly with the global newspapers’ coverage of the infamous US dentist who was caught posing next to freshly slaughtered Cecil the lion, Seidl followed Austrians and Germans across their hunting grounds. These “normal” people are most definitely well off because bringing home the head of a zebra is extremely expensive in those African countries that specialise in this kind of tourism. Interspersed with the beautiful static shots that keep the subject slap bang in the centre – which have come to be this shrewd, provocative director’s stylistic hallmark – we see stories of normalised, somewhat repetitive violence: locate the animal in its habitat, follow it, aim the Merkel 140AE .375 at it, fire, leave the animal to die of its own accord, then go and fetch it, stroke its fur, say: “You put up a brave fight, old chap”, and finally take the souvenir photo. 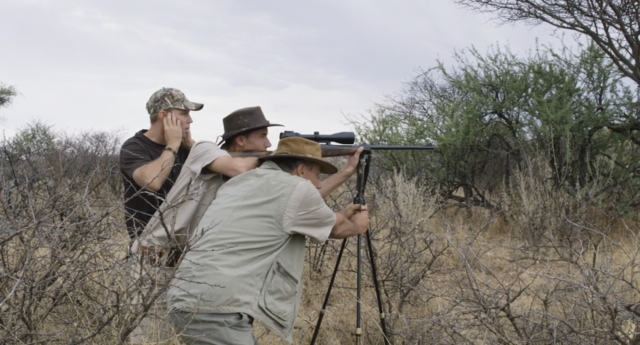 Seidl divides his investigation into “themes”, as he attempts to understand, and allow us to understand, what is going on in these people’s heads, given that they are willing to kill magnificent animals like giraffe: he tackles the most effective weapons to use, the price list for the killings, the extraordinary emotions that one feels as one fires the fatal bullet, and the relationships with the local staff in charge of this brand of armed tourism (one man says: “I have a fantastic relationship with these people; after all, it’s not their fault that they were born as Africans”). With this film, Seidl presses on with his astonishing and unscrupulous anthropological research. He is a collector of human beings, and just like people used to do with butterflies, he sticks a pin in them – in this case his camera – and then frames them.